With Readly you can read Women's Health - DE and thousands of other magazines on your tablet and smartphone. Get access to all with just one subscription. New releases and back issues – all included. Women’s Health – It’s good to be you! 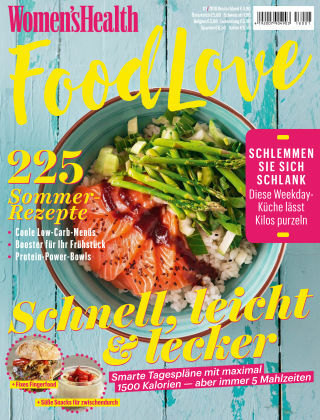 Das Magazin voller Ideen und Inspiration für Frauen, die mit großem Spaß in Sachen Fit­ness, Er­näh­rung, Beauty und aktivem Life­style vorn dabei sein wollen! Jeden Monat als Print Magazine oder in der praktischen Readly Magazin Flatrate.